How are Marketing & Sales Partnered in Your Organization? Within most of our partners/customers, there is a natural tension that exists between the sales and marketing teams. Everyone is under pressure to drive business results, and at times it can seem as though each side doesn’t ‘get’ what the other side needs and wants, or can realistically deliver. How can marketing reach over the fence to sales and establish themselves as a helpful partner? One helpful tip that we’ve identified is to provide lead nurturing solutions that the sales person on the front line is empowered to ‘call in’. In other words, empower your sales force to get specific marketing support behind them in very specific, high value situations. Being mindful of the balance of power between marketing and sales in certain circumstance is vital. Top-of-funnel usually resides squarely in the marketing area, unless raw list outbound tele-marketing lives within sales. Nurturing decisions however can, and sometimes should cross lines. A ruthlessly efficient gatekeeper or even a gate keeping system (the receptionist who is trained to ask ‘who is calling please’ whenever the request is for a VP). An entrenched competitor ‘owning’ the account. An important and valuable customer that is constantly under siege by competitors. Take the information from your research; develop AND DOCUMENT a campaign brief for each challenge. Run this past your sales leadership. ‘If we can help you to solve these problems, what kind of value would we add as a marketing team to your sales effort?’ The campaign brief should identify – in as much detail as possible – each of the challenges faced, the number of prospective suspects or prospects that meet that situation and what kind of budget would makes sense to invest to overcome the challenge. Now as a marketing team, develop some creative solutions that your sales team can ‘call in’ on that account. There are lots of opinions about dimensional mail, both pro and con. We’ve found that a creative dimensional mail solution that engages multiple senses and raises the visibility of the Call To Action (CTA) can be a great method to bypass gatekeepers and get directly to difficult to reach decision-makers. The entrenched competitor? In oligopolistic markets where share is split between a few competitors, or where your solution stacks up particularly well against one or two competitors, you can provide your sales team with highly detailed positioning content that supports comparisons of Quality of Service (QOS), Total Cost of Ownership (TCO), availability, etc. Carefully designed trial offers, discounts, training support and extended warranties can help to open doors that are otherwise resistant to trying a new solution. Defending existing key customers should be top of mind for everyone. One idea that we like is to provide ‘Team our company’ apparel. If these are truly valuable relationships, your expression of this should be as well, and they should be personalized with your customer’s name. High quality bowling shirts are fun! We use Salesforce as our CRM application. We’ve customized it so that anyone working on relationship development can assign a ‘campaign’ to a lead. Although we monitor digital body language to optimize behaviorally targeted e-mail campaigns for our customers, due to the nature of our work we’re typically focused on our clients’ deadlines rather than our own. Often your business development staff, who are always on the front lines, know the next best step to take with a prospect. And integrating your CRM with your marketing automation platform is essential. HubSpot, our preferred marketing automation platform, enables your business development staff to assign full workflows for nurturing leads. This is a major advance over just having the ability to add them to a 'campaign', which is a one-step option. With this feature, HubSpot is empowering the integration of Marketing + Sales even more deeply. And now, even in our hectic world, we’re mindfully nurturing new and valuable relationships in a very targeted way. 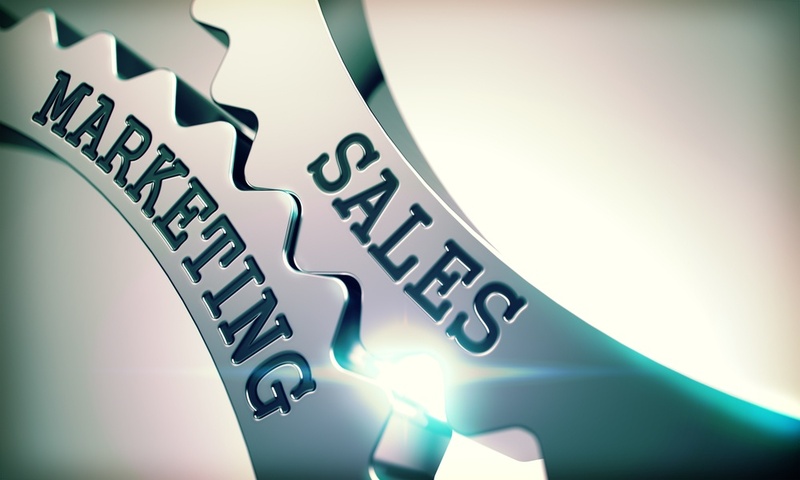 Read more on how New Breed is unifying marketing and sales. Think about reaching out to your sales staff, express your empathy about the challenges that they face every day, and approach them with some solutions that will overcome not general, but specific challenges and show them that you have their back. You’ll find that you can begin to thaw the natural chill that can exist between members who are all on the same team. With consistency in these efforts, you’ll expand your teams’ book of business at a visibly faster rate.